To view the attachment details of a Thru message, right-click any attachment from the Edit Thru message window and click Show Attachment Details. 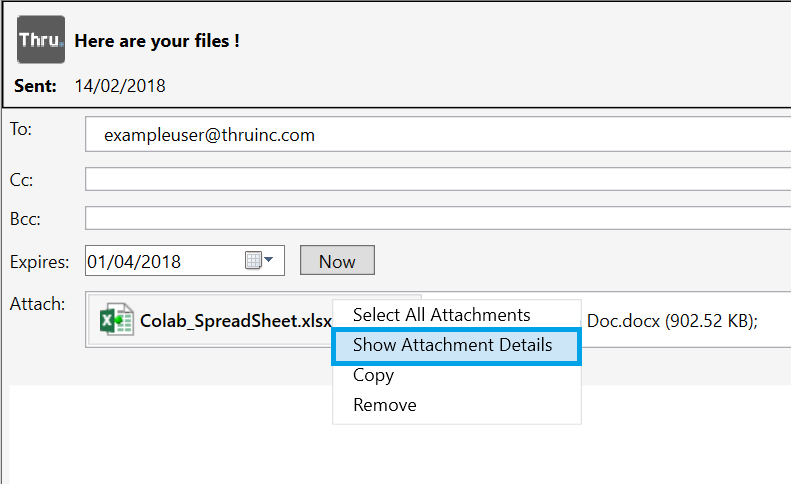 The Attachment Details window opens. From here, you can view the file name, location, full path on the Thru Server, and the attachment size. Click OK to close the Attachment Details window.